The history of economic thought concerns thinkers and theories in the field of political economy and economics from the ancient world right up to the present day. Economics was not considered a separate discipline until the nineteenth century. 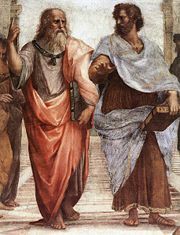 Aristotle, the ancient Greek philosopher, grappled with the "art" of wealth acquisition, and whether property is best left in private, or public, hands in his works on politics and ethics. In medieval times, scholars like Thomas Aquinas argued that it was a moral obligation of businesses to sell goods at a just price. Economic thought evolved through feudalism in the Middle Ages to mercantilist theory in the Renaissance, when people were concerned to orient trade policy to further the national interest. The modern political economy of Adam Smith appeared during the industrial revolution, when technological advancement, global exploration, and material opulence that had previously been unimaginable was becoming a reality. Following Adam Smith's Wealth of Nations, classical economists such as David Ricardo and John Stuart Mill examined the ways the landed, capitalist, and laboring classes produced and distributed national riches. With the marginal revolution transforming the basis of economic models from the labor theory of value to the utility of goods, Neoclassical economics sought to erect a positive, mathematical, and scientifically grounded field, that became known as "economics." After the wars of the early twentieth century, John Maynard Keynes led a reaction against governmental abstention from economic affairs, advocating interventionist fiscal policy to stimulate economic demand, growth and prosperity. But with a world divided between the capitalist first world, the communist second world, and the poor of the third world, the post-war consensus broke down. Men like Milton Friedman and Friedrich von Hayek caught the imagination of western leaders, warning of The Road to Serfdom and socialism, focusing their theory on what could be achieved through better monetary policy and deregulation. However, the reaction of governments through the 1980s has been challenged, and development economists like Amartya Sen and information economists like Joseph Stiglitz brought a new light to economic thought as the twenty-first century dawned. Changes in economic thought have always accompanied changes in the economy, just as changes in economic thought can propel change in economic policy. Economic thought has at times focused on the aspects of human nature such as greed and selfishness that generally work against the good of all; at other times, economic behavior has been seen as self-regulating and working toward a common purpose. As contemporary economic thought deals with the issues of globalization and the emergence of a global economy, economists have turned to the multitude of other disciplines which, like economics, developed independently. Building on their discoveries, and united with them in pursuit of the common goal of benefiting human society, economic thought may be on the road to achieving a new level of understanding. The earliest discussions of economics date back to ancient times, such as Chanakya's (c.350 - c.275 B.C.E.) Arthashastra, the earliest known treatise on economic principles and guidelines for a progressive economy, or Xenophon's (c. 430-353 B.C.E.) Oeconomicus, and continue through the religious-based ideas of Jewish thought, the Scholastics, and medieval Islamic scholars. In early times, and until the industrial revolution, economics was not a separate discipline but part of philosophy. Religious tenets and a concern for morality and ethics played a significant role in the views of early theorists. As a result, early economic thinking generally took into account the welfare of the common man, the worker, rather than seeking ways to benefit a few elite individuals. In virtually all early cultures economic thinking converged onto several basic topics: How to make agricultural production more efficient; and how to make markets, taxation policies, and other monetary instruments transparent and free from corruption, usury, and other practices that would otherwise destroy the well-being of ordinary law-abiding people, the foundation of the state. Thus, for example, the Ancient Greek philosopher Aristotle examined household spending, market exchanges, and motivations for human action from the point of view of a slave-owning city-state with a limited form of democracy. With the collapse of the Ancient world and the end of Roman civilization, economic discussion in Europe flagged as societies were cast under the shadow of the Dark Ages. The Middle Ages were intensely religious, under feudal order. 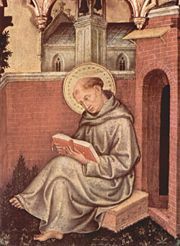 In this period the Scholastic theologians, notably Thomas Aquinas, took on the role of guiding society, and their writings included economic aspects of life. Four themes the Scholastics were particularly concerned with were property, justice in economic exchange, money, and usury. In this area they built on Greek thought as revived by medieval Muslim scholars, of whom perhaps the most well known was Ibn Khaldun of Tunisia. 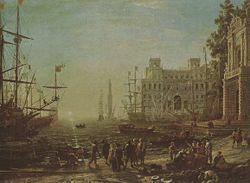 A painting of a French seaport from 1638, at the height of mercantilism. Mercantilism developed at a time when the European economy was in transition. Isolated feudal estates were being replaced by centralized nation-states as the focus of power. After the localism of the Middle Ages, the period 1500–1800 was one of religious and commercial warfare, and large revenues were needed to maintain armies and pay the growing costs of civil government. New opportunities for trade with the New World and Asia were opening, and monarchies wanted a powerful state in order to boost their status. The "mercantile system" was based on the premise that national wealth and power were best served by increasing exports and collecting precious metals in return. Tariffs could be used to encourage exports (bringing more money into the country) and discourage imports (which send wealth abroad). In other words, the goal was to maintain a positive balance of trade, with a surplus of exports. Mercantilism was not just an economic theory but also a political movement, advocating the use of the state's military power to ensure local markets and supply sources were protected. Advocates of mercantilism include English businessman Thomas Mun (1571-1641), whose book England's Treasure by Foreign Trade represents early mercantile policy. He was a member of the British East India Company and according to Mun, trade was the only way to increase England’s national wealth and in pursuit of this end he suggested several courses of action: frugal consumption in order to increase the amount of goods available for export, increased utilization of land and other domestic natural resources to reduce import requirements, lowering of export duties on goods produced domestically from foreign materials, and the export of goods with inelastic demand because more money could be made from higher prices (Mun 1664). In France, Jean Baptiste Colbert (1619-1683), Minister of Finance under King Louis XIV of France, was a great exponent of economic regulation and mercantilism. 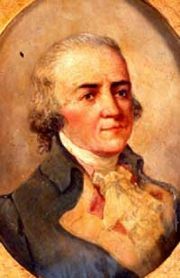 He prohibited the export of money, levied high tariffs on foreign manufactures, gave liberal bounties to encourage French shipping, and set up national guilds to regulate major industries such as silk, wine, and other French specialties. German-born Austrian civil servant Philipp von Hörnigk (1640-1712), laid out one of the clearest statements of mercantile policy in Österreich Über Alles, Wenn Sie Nur Will (1684, Austria Over All, If She Only Will). The term "mercantilism" was not, however, coined until late 1763 by Victor de Riqueti, marquis de Mirabeau and popularized by Adam Smith in 1776. 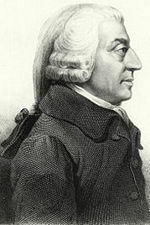 In fact, Adam Smith was the first person to organize formally most of the contributions of mercantilists in his book The Wealth of Nations, although he vigorously opposed its ideas. Mercantilist ideas did not finally decline until the coming of the Industrial Revolution. Belief in mercantilism, however, began to fade in the late eighteenth century, as the arguments of Adam Smith and the other classical economists won favor in the British Empire and the Physiocrats advocated the laissez-faire approach in France. Pierre Samuel du Pont de Nemours, a prominent Physiocrat, emigrated to the U.S. and his son founded DuPont, the world's second biggest chemicals company. In his book la Physiocratie du Pont advocated low tariffs and free trade. Disenchanted with the regulations imposed by mercantilists, an early French "physiocrat," Vincent de Gournay (1712-1759), is reputed to have asked why it was so hard to laissez faire, laissez passer. Contrary to the Mercantilists, the Physiocrats believed that the wealth of a nation lies not in its stocks of gold and silver, but rather in the size of its net product. They held that agriculture was the source of wealth. At the end of the seventeenth and beginning of the eighteenth centuries advances in natural science and anatomy were being made, including the discovery of blood circulation through the human body. This concept was mirrored in the physiocrats' economic theory in the notion of a circular flow of income throughout the economy. This was first expressed by François Quesnay (1694-1774) in his Tableau Économique (1759). Quesnay argued that agricultural surpluses, by flowing through the economy in the form of rent, wages, and purchases were the real economic movers. Incomes flowed from sector to sector, and thus class to class. Based on Quesnay's analysis, the physiocrats identified three classes in the economy: the "productive" class (agricultural laborers and farmers), the "sterile" class (industrial laborers, artisans, and merchants) and the "proprietor" class (who appropriated the net product as rents). They argued that a "natural state" of the economy emerged when these income flows were in a state of "balance," that is, where no sector expanded and none contracted. Once the "natural state" was achieved, the economy would just continue, reproducing itself indefinitely (Mirabeau 1763). The Physiocrats were the beginning of the anti-mercantilist movement. They argued that government interference—through taxes, regulations, price controls—hinders the activities of merchants and so prevents the natural laws of economics from operating. The Physiocrats argued that government should leave the economy alone and allow individuals to do as they please and that this would naturally result in economic growth; this doctrine they called laissez faire, or "let them do." Although the Physiocrats produced the first well developed theory of economics in the Western world, Classical economics is widely regarded as the first modern school of economic thought. This arose in Great Britain in the latter part of the eighteenth century; its major developers included Adam Smith, David Ricardo, and John Stuart Mill. Britain had gone through some of its most troubling times in the seventeenth century, enduring not only political and religious division in the English Civil War, King Charles I's execution and the Cromwellian dictatorship, but also plagues and fires. The upheaval had seen a number huge scientific advances, including Sir Isaac Newton's publication of Philosophiae Naturalis Principia Mathematica (1687), which described the three laws of motion and his law of universal gravitation. This period is known as the Age of Enlightenment, as reason was advocated as the means to establish a system of aesthetics, ethics, government, and even religion that would advance human society. Emboldened by the revolution in physics commenced by Newton, Enlightenment thinkers argued that reason could free humankind from superstition and religious authoritarianism that had brought suffering and death to millions, particularly through religious wars. This movement also spurred the advancement of economic thought. For instance, Richard Cantillon (1680-1734) consciously imitated Newton's forces of inertia and gravity in the natural world with human reason and market competition in the economic world (Fusfeld 2001, 21). In his Essay on the Nature of Commerce in General (1732), Cantillon argued that rational self-interest in a system of freely adjusting markets would lead to order and mutually compatible prices. Unlike the mercantilist thinkers, however, he argued that wealth was not to be found in trade but in human labor. 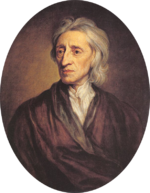 The first person to tie these ideas into a political framework was John Locke (1632-1704), who believed that people contracted into society which was bound to protect their rights of property (Locke 1689). He argued that not only should the government cease interfering with people's property (or their "lives, liberties and estates") but also that it should positively work to ensure their protection. His views on price and money were laid out in a letter entitled Some Considerations on the Consequences of the Lowering of Interest and the Raising of the Value of Money, where he argued that the "price of any commodity rises or falls, by the proportion of the number of buyers and sellers," a rule which "holds universally in all things that are to be bought and sold" (Locke 1691). Scottish philosopher Adam Smith (1723-1790) is popularly seen as the father of modern political economy. His publication of the An Inquiry Into the Nature and Causes of the Wealth of Nations in 1776 happened to coincide not only with the American Revolution and shortly before the Europe-wide upheavals of the French Revolution, but also the dawn of a new industrial revolution that allowed wealth to be created on a larger scale than ever before. Smith (1776) argued for a "system of natural liberty" where individual effort was the producer of social good. He believed even the selfish within society were kept under restraint and worked for the good of all when acting in a competitive market. He regarded prices not to be necessarily representative of the true value of goods and services. Following Locke, Smith thought true value of things derived from the amount of labor invested in them. Smith believed that a market produced what he dubbed the "progress of opulence." This involved a chain of concepts, that the division of labor is the driver of economic efficiency, yet it is limited to the widening process of markets. Both labor division and market widening requires more intensive accumulation of capital by the entrepreneurs and leaders of business and industry. The whole system is underpinned by maintaining the security of property rights. Smith's vision of a free market economy, based on secure property, capital accumulation, widening markets and a division of labor contrasted with the mercantilist tendency to attempt to "regulate all evil human actions" (Smith 1776). When the butchers, the brewers, and the bakers acted under the restraint of an open market economy, their pursuit of self interest, thought Smith, paradoxically drives the process to correct real life prices to their just values. Famously, Smith referred to this ability to self-regulate as an "invisible hand" guiding the marketplace. 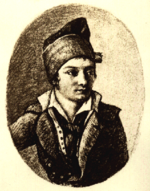 Jean-Baptiste Say (1767-1832) helped to popularize Adam Smith's work in France (Fusfeld 2001, 47). His book, A Treatise on Political Economy (Say 1803) contained a statement that became known as Say's Law of markets. Say argued that there could never be a general deficiency of demand or a general glut of commodities in the whole economy. 'People produce things,' said Say, to fulfill their own wants, rather than those of others. Production is therefore not a question of supply, but an indication of producers demanding goods. Production is demand, so it is impossible for production to outrun demand, or for there to be a "general glut" of supply. At most, there will be different economic sectors whose demands are not fulfilled. But over time supplies will shift, businesses will retool for different production and the market will correct itself. This remained a foundation of economic theory until the 1930s. Say's Law was first put forward by James Mill (1773-1836) in English, and was advocated by David Ricardo, Henry Thornton (1802), and John Stuart Mill. For London-born David Ricardo (1772-1823), economics was all about the relationship between the three "factors of production"—land, labor, and capital. His best known work is his Principles of Political Economy and Taxation (1817), which contains his critique of barriers to international trade. The Corn Laws of the UK had been passed in 1815, setting a fluctuating system of tariffs to stabilize the price of wheat in the domestic market. Ricardo argued that raising tariffs, despite being intended to benefit the incomes of farmers, would merely produce a rise in the prices of rents that went into the pockets of landowners. Furthermore, extra labor would be employed leading to an increase in the cost of wages across the board, and therefore reducing exports and profits coming from overseas business. Ricardo demonstrated mathematically that the gains from trade would outweigh the perceived advantages of protectionist policy. His law of comparative advantage revealed that even if one country is inferior at producing all of its goods than another, it may still benefit from opening its borders since the inflow of goods produced in another country more cheaply than at home results in a gain for domestic consumers. John Stuart Mill (1806-1873) was the dominant figure of political economic thought of his time. Mill's textbook, Principles of Political Economy, first published in 1848 was essentially a summary of the economic wisdom of the mid-nineteenth century (Pressman 2006, 44). It was used as the standard text by most universities well into the beginning of the twentieth century. 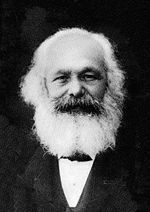 Karl Marx (1818-1883) was, and in many ways still remains, the pre-eminent socialist economist. The socialist movement that he joined had emerged in response to the conditions of people in the new industrial era and the classical economics which accompanied it. Marx's work turned the labor theory of value, as the classicists used it, on its head. Karl Marx begins Das Kapital with the concept of commodities. His use of the word "commodity" is tied into an extensive metaphysical discussion of the nature of material wealth, how the objects of wealth are perceived and how they can be used. When people mix their labor with an object it becomes a "commodity." He also distinguished the use value of a commodity from its exchange value. Marx stated that the use value derives from the amount of labor used to produce it, following the classical economists' labor theory of value. However, Marx did not believe labor alone was the source of use value in things. He believed value also derived from natural goods, refining his definition of use value to "socially necessary labor time"—the time people need to produce things when they are not lazy of inefficient (Marx 1867, Volume I, Part I, Chapter 1, para 14). Furthermore, he argued that people subjectively inflate the value of things, for instance because there may be a "commodity fetish" for glimmering diamonds, or oppressive power relations involved in commodity production. These two factors mean exchange values differ greatly from use values. An oppressive power relation, applying the use/exchange distinction to labor itself, in work-wage bargains derives from the fact that employers pay their workers less in "exchange value" than the workers produce in "use value." The difference makes up the capitalist's profit, or in Marx's terminology, "surplus value" (Marx 1867, Volume I, Part III, Chapter 9, Section 1). Therefore, said Marx, capitalism is a system of exploitation. In the years immediately following Karl Marx's publication of Das Kapital, a revolution took place in economics. Marx's development of a theory of exploitation from the labor theory of value, which had been taken as fundamental by economists since John Locke, coincided with labor theory's abandonment. The new orthodoxy became the theory of marginal utility. Writing simultaneously and independently, a Frenchman (Leon Walras), an Austrian (Carl Menger), and an Englishman (William Stanley Jevons) brought about this "marginal revolution." Instead of the value of a good or service reflecting the labor that has produced it, it reflects the usefulness (utility) of the last purchase, which occurs before the "margin" at which people find things useful no longer. This meant that an equilibrium of people's preferences determined prices, including the price of labor, so there was no question of exploitation. In a competitive economy, said the marginalists, people get what they had paid, or worked for. Although these three economists of the marginal revolution came to the same conclusion regarding the problem with Classical economics, and subsequent economics became known as neoclassical due to its emergence out of the classical framework, their work eventually led to three schools of economic thought. The Vienna or Austrian school arose based on Menger's Principles of Economics (1871), and included such Austrian economists as Bohm-Bawerk and Von Wieser. The Lausanne school, whose two main representatives were Walras and Vilfredo Pareto, arose from Walras' Elements of Pure Economics (1874). The Neoclassical Cambridge school appeared with Jevons' Theory of Political Economy in 1871. The main representative of this school after Jevons was Alfred Marshall. 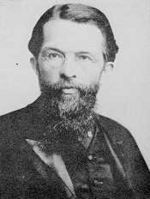 Austrian economist Carl Menger (1840-1921) stated the basic principle of marginal utility in his 1871 work Grundsätze der Volkswirtschaftslehre (Principles of Economics). Menger argued that goods were valuable because they served various uses of differing importance. For example, the first pails of water are used to satisfy the most essential uses, and successive pails are used for less and less important purposes. Although water is essential for life it is also plentiful, with the result that the marginal value of water is rather low, much lower than, for example, that of diamonds and gold, whose relative scarcity ensures high marginal value. Menger used marginal utility theory to refute classical economics' labor theory of value. Goods acquire their value, Menger showed, not because of the amount of labor used in producing them, but because of their ability to satisfy people's wants. The "value" of a commodity, therefore, Menger claimed, would be equal to the least urgent use to which it was applied. Menger and his followers broke from the mainstream, mathematics intensive economic theory and founded their own school of economics. At that time in Germany, the German Historical school, which had emerged in nineteenth century Germany, was dominant. Its economics was always distinctly different from that practiced in the Anglo-Saxon world of David Ricardo and John Stuart Mill. Its approach, as its name indicates, was "historical" and thus relied much on empirical observation and inductive reasoning, rather than deduction from theoretical propositions. In this context a controversy erupted over the method and epistemological character of economics between Menger and his supporters and the proponents of this Historical School, led by Gustav von Schmoller. It was at this time that members of the German Historical School began to derisively call Menger and his students the "Austrian School" to emphasize their departure from mainstream economic thought in Germany. The core of the Austrian framework can be summarized as taking a "subjectivist approach to marginal economics," and a focus on the idea that logical consistency of a theory is more important that any interpretation of empirical observations. Value is not intrinsic, it is not in things. It is within us; it is the way in which man reacts to the conditions of his environment (Mises 1949, 94). Using the analysis of the individual consumer as the basis rather than starting with classes of goods as had the classical economists, he developed applications of the concept of marginal utility to issues such as the value of money. 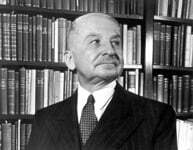 Von Mises also produced a critique of a socialist economy, showing that it was not a viable system. 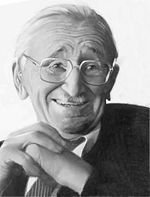 Friedrich von Hayek (1899-1992) was an early follower of Menger. He was one of the leading academic critics of collectivism in the twentieth century, arguing that all forms of collectivism (even those theoretically based on voluntary cooperation) could only be maintained by a central authority of some kind. In his popular book, The Road to Serfdom (1944), Hayek claimed that socialism required central economic planning and that such planning in turn had a risk of leading towards totalitarianism, because the central authority would have to be endowed with powers that would have an impact on social life as well. Building on the earlier work of Ludwig von Mises and others, Hayek argued that in centrally-planned economies an individual or a select group of individuals must determine the distribution of resources, but that these planners will never have enough information to carry out this allocation reliably. Murray Rothbard (1926–1995) developed and extended the Austrian economics of Ludwig von Mises, in whose seminar he was a main participant for many years. Rothbard established himself as the principal Austrian theorist in the latter half of the twentieth century and applied Austrian analysis to historical topics such as the Great Depression and the history of American banking. Léon Walras (1934-1910) also developed the idea of marginal utility, and generalized marginal theory across the economy in Elements of Pure Economics (1874), an effort that led to what is now called general equilibrium theory. Walras' economic theory included the use of mathematics in economics, the notion of free competition, the notion of utility, and price formation in competitive markets. His work, for the first time, rigorously expressed the view that all markets are related, and that their relationships can be described and analyzed mathematically. These interrelated markets tend toward a "general equilibrium" position, undergoing a constant interactive adjustment process that Walras called a tâtonnement. This conception of economics led to important new insights about the stability of markets and the capitalist economic system. Walras' work laid the foundation for mathematical economics, in particular the Lausanne school with Italian economist Vilfredo Pareto. 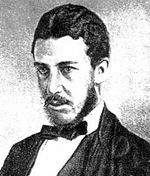 William Stanley Jevons (1835-1882) emphasized in the Theory of Political Economy (1871) that at the margin, the satisfaction of goods and services decreases. Separating from the Austrian school of economics, the neoclassical approach based on Jevons' work also became increasingly mathematical, focusing on perfect competition and equilibrium. Alfred Marshall ((1842-1924) was one of the most influential economists of his time, and is also credited with putting economics on a strong mathematical footing, applying mathematical principles to economic issues, with the result that economics became established as a scientific discipline. He led the British neoclassical school of economics, and was responsible for the emergence of Cambridge University as a center of economic research in the early twentieth century. Coming after the marginal revolution, Marshall concentrated on reconciling the classical labor theory of value, which had concentrated on the supply side of the market, with the new marginalist theory that concentrated on the consumer demand side. Marshall's graphical representation is the famous supply and demand graph, the "Marshallian cross." He insisted it is the intersection of both supply and demand that produce an equilibrium of price in a competitive market. Over the long run, argued Marshall, the costs of production and the price of goods and services tend towards the lowest point consistent with continued production. The Wall Street Crash of 1929 was the dramatic end of what had been referred to as the "roaring twenties" in America. 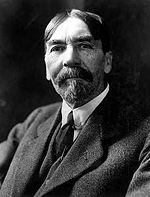 Many people, including economist Thorstein Veblen, cautioned against the excesses of "the American way," warning of the tendency for wasteful consumption and the necessity of creating sound financial institutions. In the early twentieth century this viewpoint, known as Institutional economics, was the main school of economics in the United States. Institutional economics is concerned with the social systems, or "institutions," that constrain the use and exchange of resources (goods and services) and their consequences for economic performance. Following Veblen's critical view of materialistic culture and the tendency of businesses toward production for pure profit rather than to satisfy consumers' needs, institutional economists were typically critical of American social, financial, and business institutions. In 1919, Europe lay in ruins, financially, physically, psychologically, and its future depended on the Paris Peace Conference convened at Versailles. John Maynard Keynes (1883-1946) was the British representative at the conference, and the most vocal critic of its outcome. His observations were laid out in his book The Economic Consequences of the Peace (Keynes 1919) where he documented his outrage at the collapse of the Americans' adherence to the Fourteen Points, the peace plan devised by President Woodrow Wilson intended to "make the world safe for democracy." Keynes used economic data provided by the conference records to argue that if the victors forced the defeated Axis Powers to pay reparations then a world financial crisis would ensue, leading to a second world war. Without the changes he advocated, Keynes' dark forecasts matched the world's experience through the Great Depression and the descent into a new outbreak of war in 1939. This long run is a misleading guide to current affairs. In the long run we are all dead. Economists set themselves too easy, too useless a task if in tempestuous seasons they can only tell us that when the storm is long past the ocean is flat again (Keynes 1923). In addition to the supply of money, Keynes identified the propensity to consume, inducement to invest, the marginal efficiency of capital, liquidity preference, and the multiplier effect as variables which determine the level of the economy’s output, employment, and level of prices. Keynes therefore advocated low interest rates and easy credit to combat unemployment. But Keynes believed that in the 1930s, conditions necessitated public sector action. Deficit spending, he said, would kick-start economic activity. Keynes therefore advocated both monetary management and an active fiscal policy. Keynes helped formulate the plans for the International Monetary Fund, the World Bank, and an International Trade Organization at the Bretton Woods Conference, a package designed to stabilize world economy fluctuations that had occurred in the 1920s and create a level trading field across the globe. Although Keynes died little more than a year later his ideas had already shaped a new global economic order, and all Western governments followed the Keynesian prescription of deficit spending to avert crises and maintain full employment. 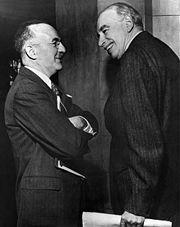 After the Second World War, and the death of John Maynard Keynes, a group of mostly American economists worked to combine Keynes' economic theory with statistic method mathematical representations. The development of this new orthodoxy is referred to as the neoclassical synthesis. The theory was developed by John Hicks, and popularized by the mathematical economist Paul Samuelson, who seems to have coined the term, and helped disseminate the "synthesis," partly through his technical writing and in his influential textbook, Economics (1948). Mainstream economics in the latter part of the twentieth century was largely dominated by the synthesis, being largely Keynesian on macroeconomics and neoclassical on microeconomics (Clark 1998). Introductory university economics courses began with the same approach that pulled the divergent strands of economic thought together, presenting economic theory as a unified whole. The Chicago school long stood as the only school in America not overrun by the Keynesian Revolution. This Chicago School of economics began in the 1920s with the work of Frank H. Knight and Jacob Viner. It was Viner's criticism of Keynes that made him famous and laid the foundation for the Chicago school's resistance to Keynesian economics. Viner is known for his belief, contrary to the analyses of Keynes, that it is the long-term that really matters. This more conservative strand of thought reasserted a "libertarian" view of market activity, that people are best left to themselves, free to choose how to conduct their own affairs. The school blossomed into one of the most influential schools of thought after Milton Friedman joined the economics faculty in 1946 and then was joined by his long-time friend George J. Stigler in 1958. In Friedman's Monetarism, it found a means, both theoretical and empirical, by which to resist the Keynesian view and Stigler’s writings undermined many of the rationales for government regulation of business. Economists of the Chicago school are known for applying economic analyses to a broad spectrum of issues, many of which have normally fallen within the purview of other disciplines as far ranging as history, law, politics, and sociology. Examples of such extensions conceived by Chicago economists are search theory (George Stigler), human capital theory (Gary Becker and Theodore Schultz) and property rights/transaction cost theory (Ronald H. Coase). Economic "globalization" is a historical process, the result of human innovation and technological progress. It refers to the increasing integration of economies around the world, particularly through the movement of goods, services, and capital across borders. The term sometimes also refers to the movement of people (labor) and knowledge (technology) across international borders. There are also broader cultural, political, and environmental dimensions of globalization (IMF Staff 2008). In the context of globalization, economists have been drawn to develop fields such as development economics which deals with economic aspects of the development process in low-income countries. Its focus is not only on methods of promoting economic growth and structural change but also on improving the potential for the mass of the population, for example, through health, education, and workplace conditions. 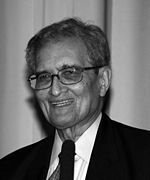 Amartya Sen (b. 1933) became well known for his contributions to welfare economics and his work on famine, the underlying mechanisms of poverty, and gender inequality. Expressing considerable skepticism on the validity of neo-classical assumptions, he mounted one of the few major challenges to the economic model that posits self-interest as the prime motivating factor of human activity. His "capability approach" focuses on "positive freedom," a person's actual ability to be or do something, rather than on "negative freedom" approaches, which simply focus on non-interference. For example, in the Bengal famine of 1943, rural laborers' negative freedom to buy food was not affected since there was adequate food in the region. However, they still starved because they were not positively free to do anything due to declining wages, unemployment, rising food prices, and poor food-distribution systems which prevented them from acquiring nourishment, and thus they did not have the capability to escape morbidity. The fundamental problem with the neoclassical model and the corresponding model under market socialism is that they fail to take into account a variety of problems that arise from the absence of perfect information and the costs of acquiring information, as well as the absence or imperfections in certain key risk and capital markets. The absence or imperfection can, in turn, to a large extent be explained by problems of information (Stiglitz 1996, 5). Economic thought has at times focused on the aspects of human nature such as greed and selfishness that generally work against the good of all; at other times, economic behavior has been seen as self-regulating and working toward a common purpose, even supported by the altruism and innate goodness of human beings. Understanding which of these aspects is dominant, or how they can be brought into balance, is a key issue for the future. The world has moved from ancient times when philosophers and religious leaders were the authority on all things, economic issues included, through the division of disciplines into more specific fields, into an era of globalization and the emergence of a global economy. As economic thought has developed through these times, the direction appears to be one in which, after separating into a distinct discipline, it now returns to a closer connection with the other disciplines. Using, but not being limited by, the tools developed in such fields—mathematics and computer technology in particular—economists now apply their theories to an ever-increasing array of human activities. Likewise, the models and findings of schools of thought for a while considered separate from economic study, such as ethics, morality, cognitive science, psychology, and sociology, now are seen as inextricably related to economic models. In this way, the future of economic thought may finally be able to uncover and understand the complex processes and mechanisms which guide economic transactions in human society. Coase, Ronald H. 1937. The Nature of the Firm. Economica 4(16): 386-405. Retrieved April 24, 2009. __________. 1960. The Problem of Social Cost (this online version excludes some parts). Journal of Law and Economics 3: 1–44. Retrieved April 24, 2009. Eggleston, Brian. 2008. Economics and/as Ethics: From Aristotle to Adam to Arrow. Augustana College. Retrieved April 22, 2009. Friedman, Milton. 1953. Essays in Positive Economics: Part I - The Methodology of Positive Economics, University of Chicago. Retrieved April 24, 2009. Hörnigk, Philip von. 1684. Österreich Über Alles, Wenn Sie Nur Will (Austria Over All, If She Only Will). IMF Staff. 2008. Globalization: A Brief Overview. IMF.org. Retrieved April 23, 2009. Keynes, John Maynard. 1919. The Economic Consequences of the Peace, Library of Economics and Liberty. Retrieved April 15, 2009. __________. 1691. Some Considerations on the consequences of the Lowering of Interest and the Raising of the Value of Money. Retrieved April 24, 2009. Marshall, Alfred. 1890. Principles of Economics Retrieved April 22, 2009. Marx, Karl. 1871. Das Kapital Volume One. marxists.org. Retrieved April 24, 2009. Mun, Thomas. 1664. England's Treasure by Forraign Trade, or The Ballance of our Forraign Trade is The Rule of our Treasure. London: Thomas Clark. Retrieved Retrieved April 3, 2009. Quesnay, François. 1759. Tableau économique Retrieved April 22, 2009. Thornton, Henry. 1802. The Paper Credit of Great Britain. Turgot, Jacques. 1766. Réflexions sur la formation et la distribution des richesses in French and English Retrieved April 22, 2009. Veblen, Thorsten. 1899. The Theory of the Leisure Class: An Economic Study of Institutions Retrieved April 22, 2009. __________. 1904. Theory of Business Enterprise. Retrieved April 22, 2009. Walras, Leon. 1874. Éléments d'économie politique pure, ou théorie de la richesse sociale. (Elements of Pure Economics, or the theory of social wealth). Library of Economics and Liberty. LibertyFund.inc. The Prehistory of Modern Economic Thought by Justin Ptak. mises.org. Chapter One and Chapter Sixteen from An Austrian Perspective on the History of Economic Thought by Murray Rothbard. lewrockwell.com. History of "History of economic thought"
This page was last modified on 10 January 2018, at 15:46.